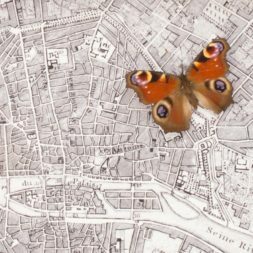 MAP: Map of Paris from 1776. 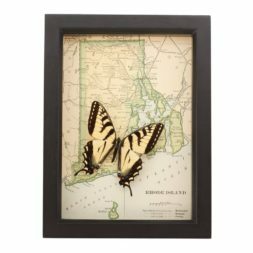 Archival reprint with 100 year ink and UV glass. 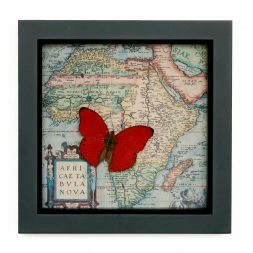 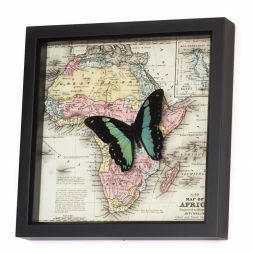 Old map of African with only all red butterfly in the world (Sangria Butterfly). 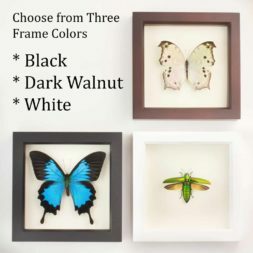 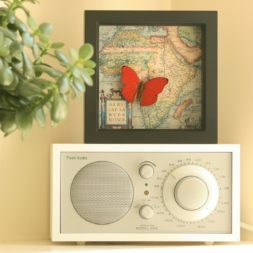 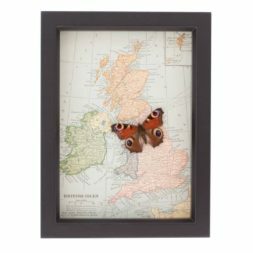 See why our insect frames are the TOP CHOICE of interior designers, museums and our customers. 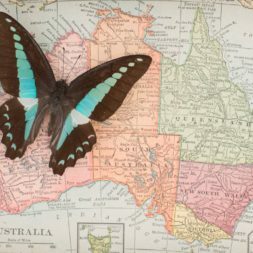 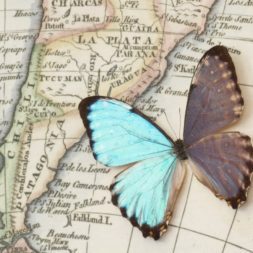 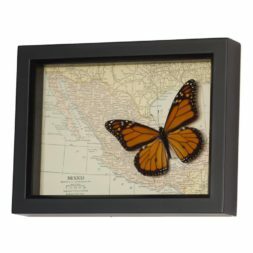 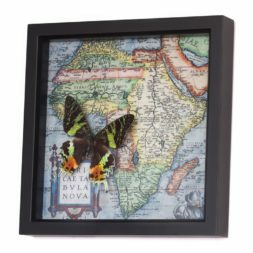 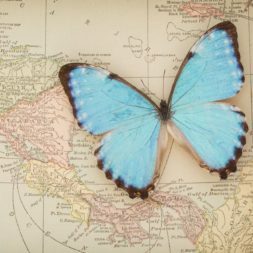 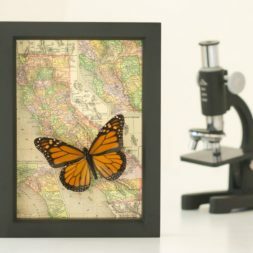 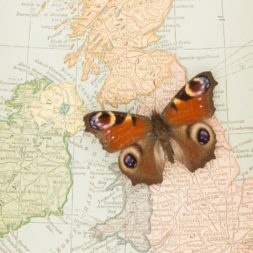 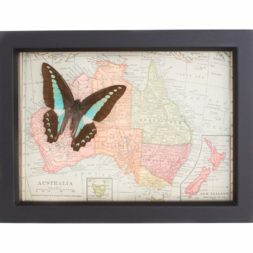 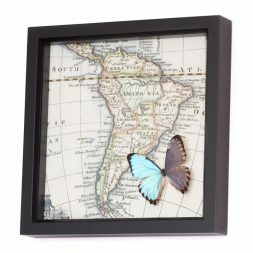 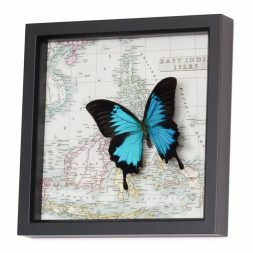 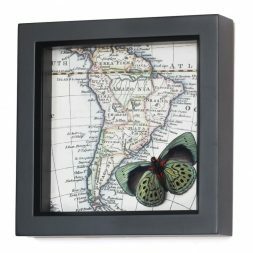 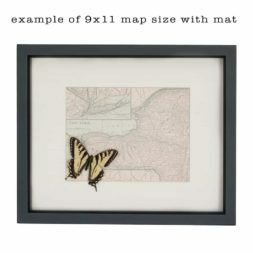 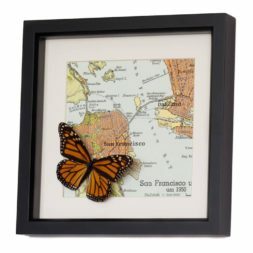 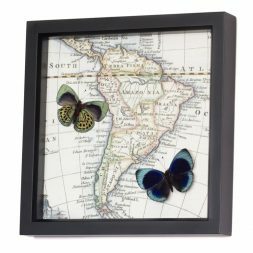 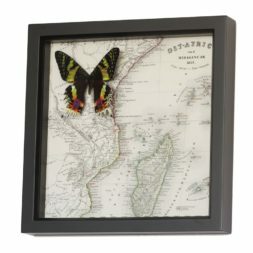 Unique natural history map with Blue Morpho butterfly. 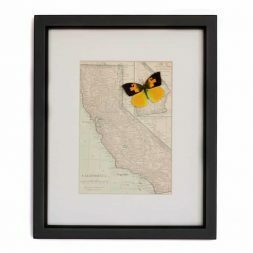 MAP: Genuine vintage map of California from 1910-1915. 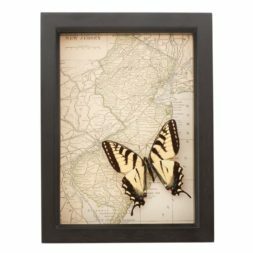 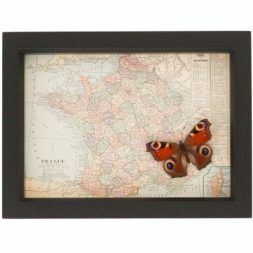 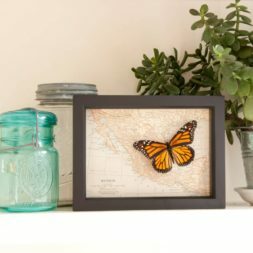 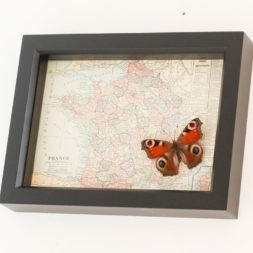 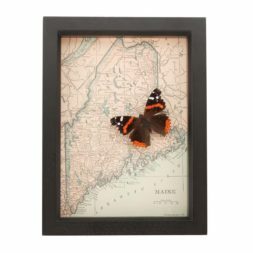 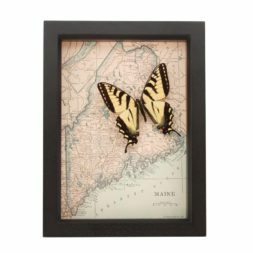 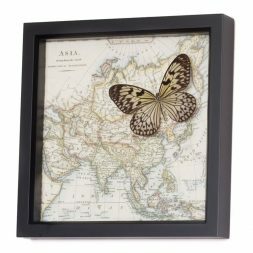 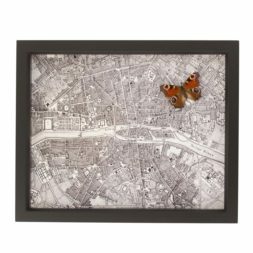 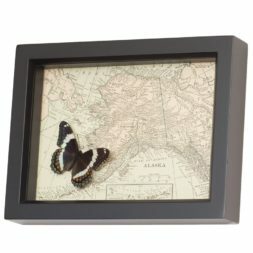 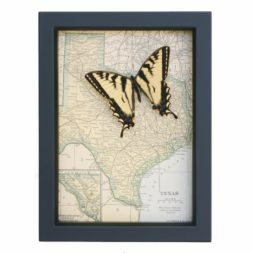 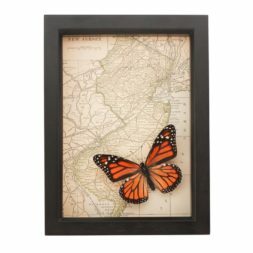 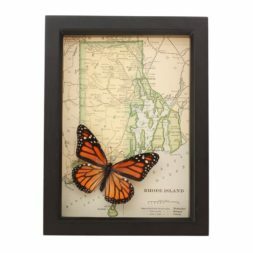 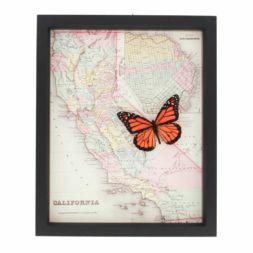 A vintage map of France framed with a native European Peacock butterfly. 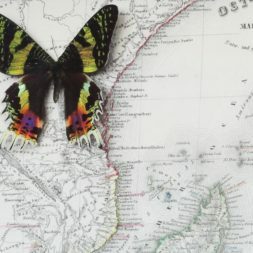 MAP: Archival reproduction of map of Asia. 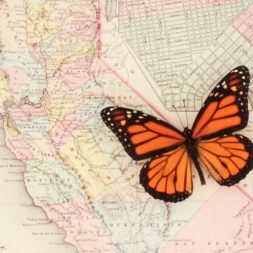 MAP: Archival reproduction of California from 1867.